For 24-hour emergency service please call Mike Scott at (215) 499-1135 or Mick Walker at (215) 378-5706 . An independent business comprised of NETA-certified technicians, licensed engineers, and professional support personnel dedicated to ensuring the safety and reliability of your power system. Burlington Electrical Testing is a testing and verification firm with more than 35 years of experience in electrical maintenance testing, acceptance testing, electrical certification, and engineering evaluations of electrical distribution equipment. Nationally certified field technicians and engineers serve major utility, industrial, commercial and institutional clients’ low voltage, medium voltage, high voltage and extra-high voltage testing and maintenance needs; provide engineering services, and repair of all manufacturers power equipment. BET is a NETA accredited company specializing in the electrical testing of Switchgear, Substations, Distribution Transformers and Co-Gen Electrical Services. Burlington Electrical Testing remains the premier electrical testing industry-leader in the Mid-Atlantic region. For more than 37 years BET brings a full-time staff of project managers, engineers and highly skilled field technicians. All field technicians have undergone an extensive five-year electrical testing apprenticeship and have successfully passed the NETA exam. To assure you that Burlington Electrical Testing Company complies with all your safety requirements, we have an assigned safety director who oversees our drug testing and OSHA certified training programs. The director is also responsible for our scheduled monthly safety meetings and logging our daily safety activities. Together we can provide professional field service and a documented engineering report and evaluation to guarantee you that the work was performed and documented in accordance with NETA, IEEE and industry standards. In addition to our outlined services, Burlington Electrical Testing also offers 24 – HOUR EMERGENCY SERVICE so you can have confidence that we are there when you need us. Is your site NFPA 2018 compliant? Is your staff "qualified" or "unqualified" to work on electrical equipment? 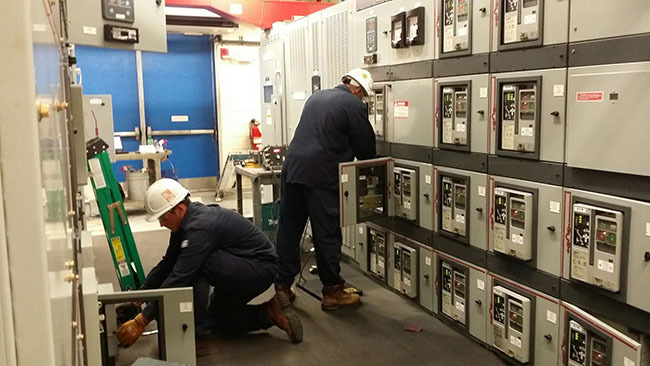 Burlington Electrical Testing conducts onsite Arc Flash Hazard Awareness training which provides an understanding of the federal laws (OSHA), potential dangers, as well as the accepted safety practices when personnel are to be exposed to electrical hazards. This includes defining an arc flash and its effects on the human body, complying with Arc Flash labeling, and the selection and use of Personal Protective Equipment (PPE). The Arc Flash Hazard Awareness class is to be part of your overall electrical safety program; therefore, your staff will require a working knowledge of the electrical equipment at their facility, along with the tools, test equipment and available PPE. © 2017 Burlington Electrical Testing. All Rights Reserved.